Sheila and Dan would like to welcome you to Fraysse Haut, the perfect location for a relaxing ‘away-from-it-all’ holiday near the Lot valley in rural south west France. We offer comfortable holiday rental accommodation in our gîtes, or holiday cottages, in the converted barns overlooking the sunny courtyard – the Barn, the Tower and the Breadhouse. Fraysse Haut is an old Quercy farmhouse situated in the hills between the delightful riverside town of Puy l’Evêque and the village of Montcabrier. Restaurants and commerce are in Puy l’Evêque and Prayssac, a short drive away. The lovely medieval town of Cahors is just 38 km east along the Lot river and Cahors gives its name to the wine region around us. The self-catering holiday cottages, or gîtes, are all suitable for 2 people. The Barn sleeps up to 4, or 6 to 8 people if booked with the Tower. All three gîtes can be booked together for groups of family and friends of up to 10 people. 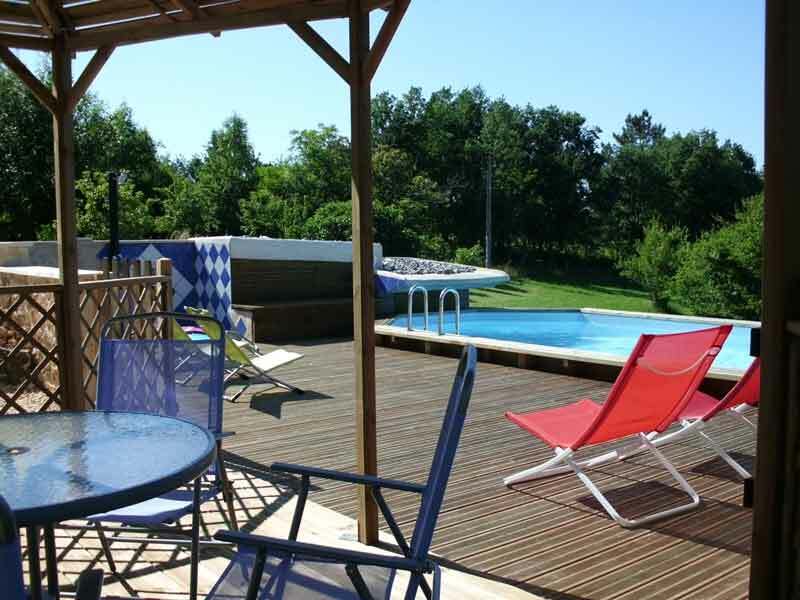 In a rural setting of 6 hectares of fields and woodland, and with direct access onto hiking trails, our self-catering holiday rentals provide a relaxing base for walking holidays and sightseeing in the Lot and Dordogne. 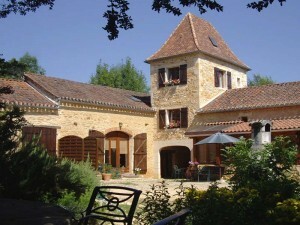 The Barn can be rented all year round and has a 3 star rating with the Cahors Tourist Office. The owners, Sheila and Dan, live in the main farmhouse and are here to help you with your holiday if required, with local information and suggestions for walks and sightseeing. 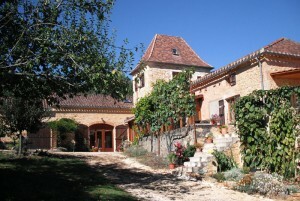 We speak both French and English and are well integrated within the friendly local community around Montcabrier. The 7m x 4m wooden frame pool with a waterfall and gazebo, and a view over the fields, is exclusively for the use of our guests. The river Lot is only 5 km away, at Puy l’Evêque. There are swimming lakes in the area and several bases in the Lot valley between Puy l’Evêque and Cahors for canoeing and swimming. The rural setting at Fraysse Haut is perfect for bird watching, and the unspoilt countryside of the Lot provides a habitat for many wild flowers and orchids and a variety of wildlife. The courtyard opens onto fields so you may wander freely, and for family holidays, there is plenty of space for ball games. A barbecue in the courtyard is for the use of our guests, and you will find herb beds and a choice of seating areas in sunshine and shade. We have a vegetable garden and fruit trees, a horse and sometimes chickens, but it is not a working farm. Book all our rental accommodation together for a family reunion or anniversary and we will help you organise the party – we have hosted a silver wedding and a 50th birthday. If you enjoy walking, rural tracks and hiking trails pass close to the gîtes with marked circuits for independent walkers. The varied scenery of the Lot countryside offers walks in the vineyards or through shady oak and chestnut woods, to craggy limestone uplands with fine views over the Lot river valley. We also offer all-inclusive walking holidays based in our gîtes. See our Walking Holidays page. “It is one of the few places that we have visited where you could actually hear the peace and quiet. 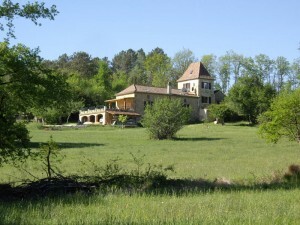 Fraysse Haut is everyone’s dream of real rural French life”. 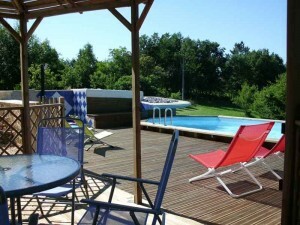 Visit our Guest Reviews page for more comments on our holiday rentals in the Lot, south west France. Find Gîtes Fraysse Haut on Google maps.